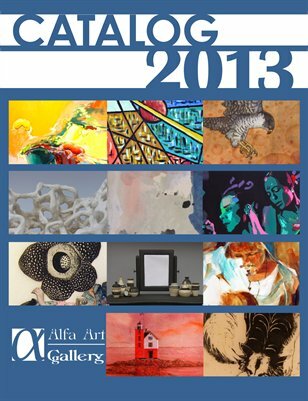 Alfa’s 2013 catalog includes high quality images and information on all artists exhibited at the gallery during the past year, sorted by the exhibition they took part in.Purchase a digital version for just $4.25 or a beautiful printed version (digital version incl. for free) for only $19. Set Alfa as your charity of choice and Amazon will make a contribution for each order you place.